As the Associate Director, UX, you will nurture and scale a creative, design thinking culture ready to deliver Abbvie’s next-generation digital solutions. This position requires a strong leader and connector with a consistent record of developing digital assets for global organizations with extensive R&D and B-to-C commercial functions. Do you love developing compelling visions and resource worthy plans that tackle meaningful problems? Do you love applying your deep practical knowledge of human centered design and UX approaches to help teams deliver delightful digital experiences? Do you love working collaboratively with diverse and agile technical teams? 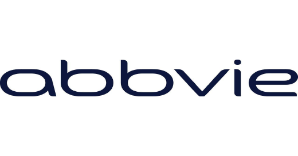 If so, you may be an excellent fit for this role at AbbVie. Join our mission to sustainably improve the lives of patients. This position reports to the Director of IT Innovation at AbbVie's global headquarters in Lake County, IL. A minimum of 10+ years industry/consulting or academic experience is required. A highly relevant BA + MS or MBA degree is preferred (Computer Science, Human Factors, Human Computer Interface Design). It is expected that you will have a significant track record of leadership and solutions.